How do you fit three boys in a typical sized bedroom? A bit like this. 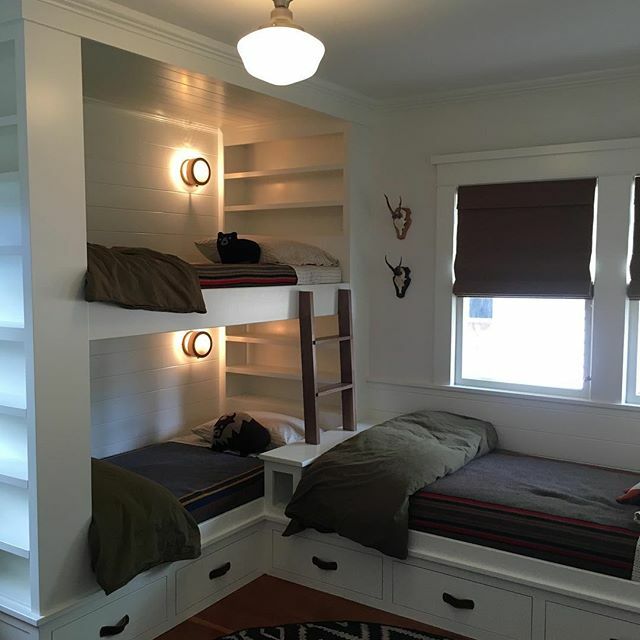 Built using standard twin mattress each bunk has it’s own storage outlet and wall sconce. The bunkbeds are designed with valances to accommodate future privacy screen for when the boys get older. Five generous drawers for clothes. On point decor by the homeowner @thrashermama.